This blog is about how to earn money blogging. It describes all eight income streams of bitLanders and how the earnings on all eight income streams can be significantly boosted. I joined bitLanders six weeks ago. Today, February 2, 2017, my buzz score is already 119, I am number 12 on the leaderboard and I earn approximately 60 cents per day. This is more and faster than expected. BitLanders is definitively a site, where we can earn money and the way to success can be much faster than many of us think. My daily earnings reached 64 cents. 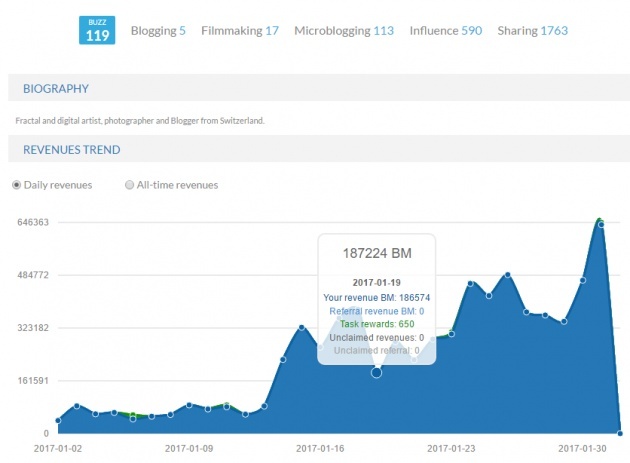 The chapter “Ways to Increase Your Buzz Score and Your Earnings” describes eight different ways of how to earn money with bitLanders. The chapter “The Fast Track to Success” is all about how to increase the base Buzz Score. A higher base Buzz Score means sustainably higher earnings in all eight income streams. Please set a bookmark to this blog, as you want to look up items in this blog later. 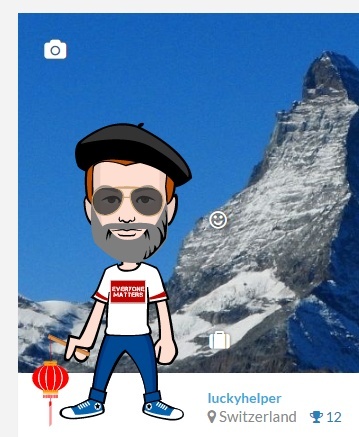 Send the link of this tutorial to your friends, who joined with your referral link and other users, who do not know how to use bitLanders. In this chapter, I explain, how I personally handle the support’s advice in the Beginners Guide. 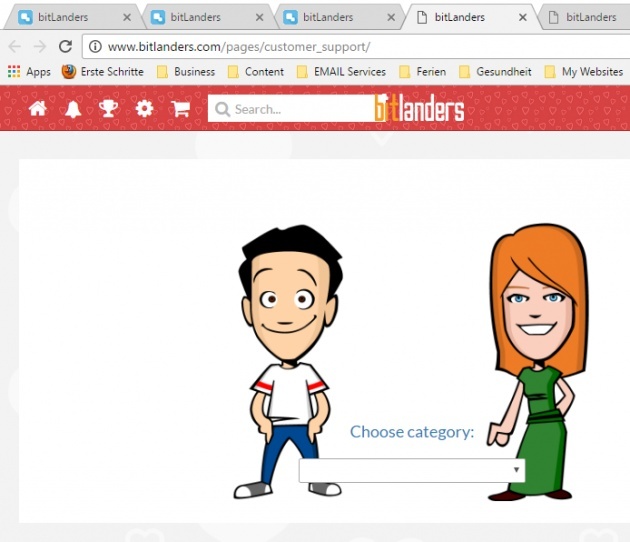 Go to http://www.bitlanders.com/pages/customer_support/ and choose the category “BEGINNERS GUIDE” for reading the original support’s advice for newbies. 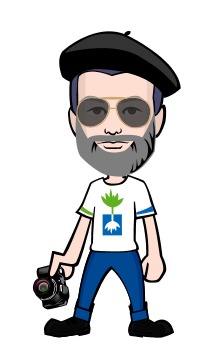 First, I like reading interesting, self-created, original blogs with the author’s own photos, images and videos. I also like watching self-created videos as well as galleries with original photos and works of art. I buzz and comment great original content. When I buzz a post, the owner of the post receives a buzz and the post is shared on my timeline. If a user buzzes such a shared post on my timeline, the owner of the post and I get one buzz score each. Buzzing other users content is an important source of indirect earnings! It is an advantage to have many posts from fellow bitLanders on your timeline. I use the Google Chrome browser with bitLanders. One right-click of the mouse, and I can see, if an image is stolen from Google or self-created and original. I only subscribe to fellow-bitLanders, who post self-created original content. I do not subscribe and not buzz, if the images are stolen from Google and/or are violating copyrights. Stolen images and copyright violations can lead to the loss of your account. Do you really want to bring all your hard work at risk, just because you use stolen Google images in your blogs, galleries and microblogs? Post great original self-created content and your fellow-bitLanders will buzz and comment it. I do NOT look for, ask for or follow "buzz for buzz" or "sub for sub". Why shall I buzz stolen Google images or posts of a low quality? I do not have the time to count buzzes from a certain user and give back an equal number of buzzes. The only sustainable way of building a community of great users is to buzz and comment great original content only. I visit regularly pages of fellow bitLanders, who post great original content. I buzz and comment their quality posts. At the top right of your content feed, there are the Quest Box and the Daily Quest Box. These quests are a sure way for easily earning extra Buzz Bonuses. Make sure to accomplish all of them daily. The Earn More page is the key for inviting friends. Click at the “invite your friends”-tab and you will see the "Get Referrals" page. How to search for the "Get Referrals" page. Send a standard invite email to your friends. You have just to put in your friend’s email address and you are done. Your personal referral link is also available for your own promotion efforts. E.g., use this link on Facebook for inviting your FB friends. On the "Get Referrals" page, there is also a list of your friends who joined bitLanders with your referral link or from one of your pages. You earn three buzz scores on each day a friend of yours joins bitLanders. Additionally, you earn 20% of the bitMiles that your friend earns. Teaser video for inviting people to join bitLanders. This teaser video is not only great for making people sign up with bitLanders. It makes the people aware that bitLanders is a blogging site. For earning money, the members have to write great blogs and to log in daily. The idea behind this video is, to attract active bloggers, but discourage passive free tire kickers. Additionally, joinig a new social media site is such a frustrating thing, because in the beginning, the new member is completely alone, no subscribers and no one is recognizing him. I make the potential new members aware of this and how to overcome this loneliness. With this video, I hope to gain a lot of active members for bitLanders. - Buying certain items, which include a Buzz Bonus. 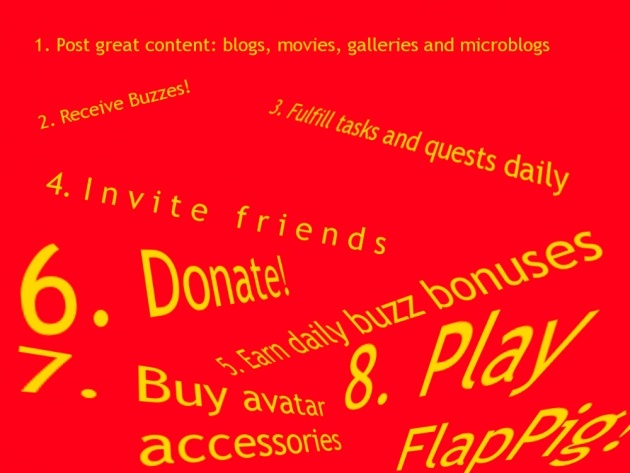 - While reading, watching and buzzing great quality content, you may find hidden content treasure bonuses. What? Earning by donating? – Yes, donating works that way on bitLanders. By donating, you can get up to three Buzz Bonuses for 7 days, which will increase your Buzz Score and overall Rewards. Visit the shop to acquire avatar items that will earn you extra Buzz Bonuses. Not all avatar items provide a Buzz Bonus, only the ones with the yellow “buzz for days”-label. 7.1.What is the priority when it comes to spending your gems? In the beginning, keep your gems for submitting blogs for review! Writing great blogs and submitting them for review is the secret for increasing your buzz score and your earnings fast. Please take into consideration that only reviewed blogs can increase the base Buzz Score (blue in the statistics). Reviewed movies and galleries increase only the temporary Buzz Bonus (orange in the statistics). Blue: base buzz score; orange: buzz bonus. Do not waste your gems for shopping avatar items before you earn a substantial amount of bitMiles regularly. The gems are needed for the review of your first blogs. Once you have achieved your first two blogs with a four or five star rating, you will earn enough for buying gems at the shop and using them for avatar items beside the review of further blogs. FlapPig is NOT free; depending, on what you do, it uses your gems very, very fast! 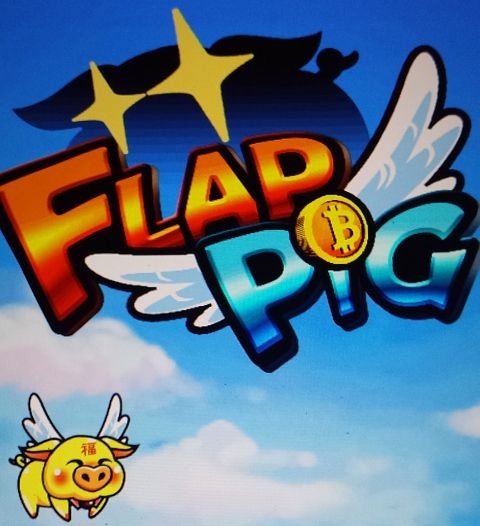 I recommend FlapPig only for advanced users, who already earn a substantial amount of bitMiles on bitLanders, or for people, who can afford to buy a galore of gems. I did not yet discover, how to play it. However, I already lost 2 gems within the first 15 seconds. It may be a good idea, not to press a button with the image of a gem on it. While we can earn bitMiles at bitLanders by all of the above eight different ways, there is only one expressway for increasing all income streams sustainably. A higher base Buzz Score means higher earnings in all income streams. In this chapter, we are learning how to increase the base Buzz Score. Where can I see the Buzz Score Trend? While the actual Buzz Score is shown on the profile page (Image 1), for seeing the Buzz Score Trend, you have to click on “STATS” on your profile page. There is a blue and an orange line in the BUZZ SCORE TREND diagram on the Statistics page (Image 2) . 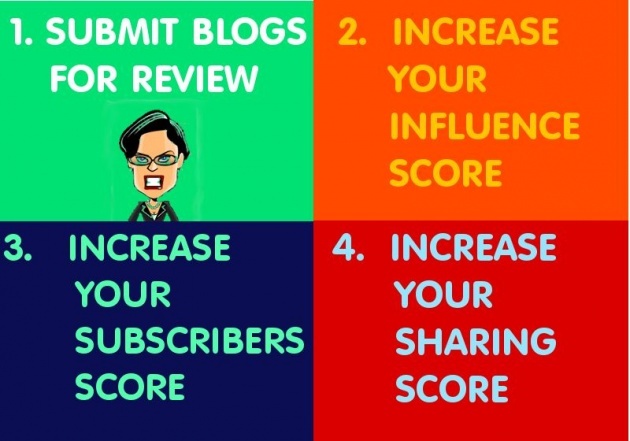 The base Buzz Score is the blue diagram and it consists of your rated content score of your blogs, influence score, subscribers score and sharing score. Increase your base Buzz Score! We can submit blogs, galleries and movies for review. However, only rated blogs count into the base Buzz Score. Rated movies and galleries only count into the temporary Buzz Bonus (direct power up). The best strategy for a high rated blog is, to write a great quality blog of approximately 1200 words, include 10 own original photos and two self-created original videos. Some external links are also very helpful and can increase the rating. Choose matching tags as they are used for the internal bitLanders search engine. It is well worth to invest some effort into detecting the best tags, as they contribute approx. 20% to the whole rating! Make sure that your blog does not violate copyrights. There is a very helpful blog available from user @Adgoggleko about how to handle copyrights. @Micky-the-Slanted-Salerno has published a tutorial about how to cite sources of images and videos. @Adgoggleko published a great tutorial for newbies, who want to create blogs with their mobile. If you are not a native English-speaking person, you will esteem the help of the Google translator. 1.2 What shall I write about in a blog? As it is important to insert into a blog own original photos and videos, or at least images, on which one owns the right for publishing, I write about subjects like nearby landscapes, lakes, mountains, Cities and towns as well as self-created art or tutorials with self-made drawings and diagrams. I am the owner of my published content or I am allowed to publish it under an appropritate license. On the other hand, I expect to read in blogs about life in countries of other fellow bitLanders. We shall never forget, what seems to us as normal and not worth mentioning, looks to a person from another continent attractive, interesting and exotic. Content should be genuine and self-created, that is the magic of a great blog. The influence score is based on buzzes you receive on your rated content. The more rated content you own, the faster will the influence score rise. Submitting content for review is definitively the way to go for achieving higher earnings fast. Of course, the subscribers score depends on how many users subscribed to you. The only way for getting a sustainably growing number of subscribers is posting own great content and watching and buzzing great content from others. I value and buzz self-made photos and originally written blogs. I only subscribe to fellow bitLanders, who contribute own, self-created, original and new content. It has to be fun; it has to be interesting and worth to spend the time reading. 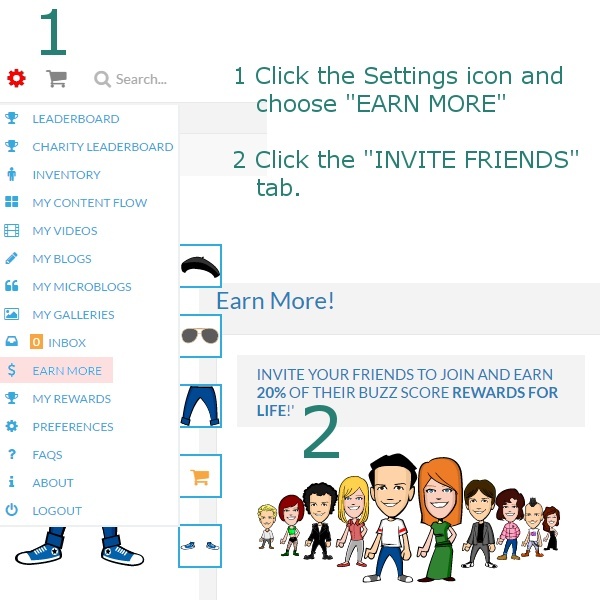 In my eyes, sharing is the easiest way of increasing your base Buzz Score! It is free and you just have to press the share button to your twitter, Facebook or Google+ account for sharing the post, which you are actually watching. BitLanders is a huge chance for earning a substantial amount of money. It can be much more than what we actually see on the leaderboard. However, we have to accept that higher earnings can primarily be achieved through high quality blogs, which get a good rating. Beginners have to save the bitMiles earned for buying gems, as gems are needed for submitting blogs for review. 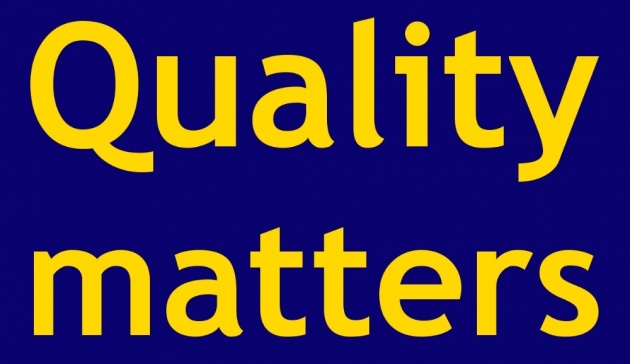 I expect that in the future more users will write quality blogs and submit them for review. If more people will work that correct way to success, the average earnings per user will dramatically increase! I will no more be in a top 20 position on the leaderboard with only 60 cents earned per day. BitLanders offers the opportunity; we have to make use of it. If we do a great job, payments will also be great! I wish all my fellow bitLanders the success we all deserve! Fractal and digital artist, photographer and Blogger from Switzerland. Thanks. Actually, tinatry ko lang dito. Kung medyo di okay, baka stop muna. Put the blog in my reading list which I can access offline if I so choose. I still confuse about using FlapPig..
Can you explain? Or where I can get information about that? I see review in google play is very bad..
Great read dude. Keep it up! This will be a great help for new people here. Kudos to you. Thank you much for writing this post. Thank you so much for those advice. nice info... . thanks . . .
Dear fellow bitLanders, thank you so much for your friendly and encouraging comments. @mudasir103 I always check, in which context the tags appear in a search. @mudasir103 While I do well with the blogs, my tags on videos are always criticized. @mudasir103 Thank you for your great comments. I try to use some general tags and some specific ones. All tags have to match the subject of the blog. Interesting, I shall have to put some time aside to read this properly.